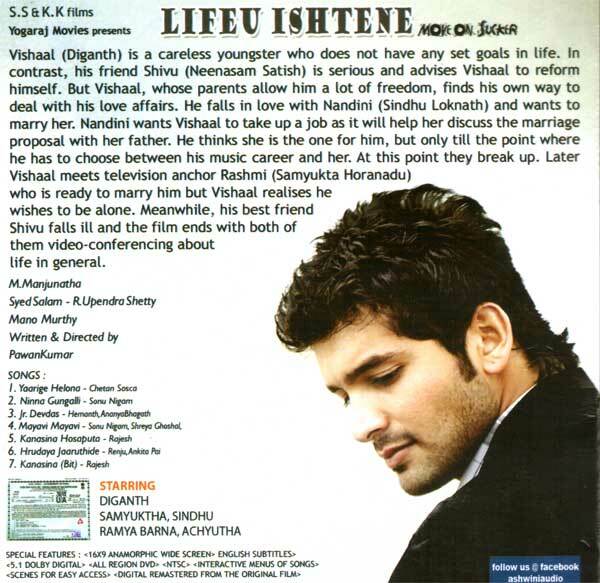 Vishaal (Diganth) is a careless youngster who does not have any set goals in life. In contrast, his friend Shivu (Neenasam Satish) is serious and advises Vishaal to reform himself. But Vishaal, whose parents allow him a lot of freedom, finds his own way to deal with his love affairs. He falls in love with Nandini (Sindhu Loknath) and wants to marry her. Nandini wants Vishaal to take up a job as it will help her discuss the marriage proposal with her father. He thinks she is the one for him, but only till the point where he has to choose between his music career and her. At this point they break up.